If you have watched any news programs in the last few months, you know a spotlight has landed on gun education and safety. 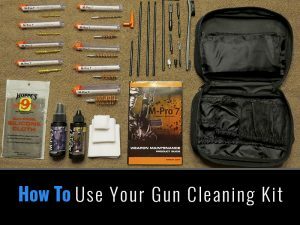 With this increased awareness, it is vital to ensure your guns are stored safely and adequately. In some areas, it may even be required to store firearms in a secure safe. 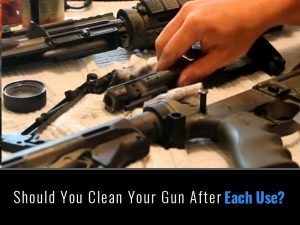 Regardless of the laws or ordinances in your area, as a gun owner, you are responsible for your firearms at all times. 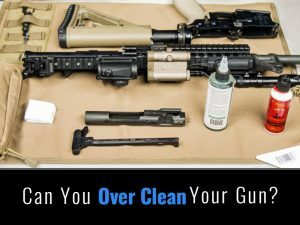 One of the leading causes of injury from a gun is an inexperienced person getting a hold of a gun and accidentally shooting a friend or family member. Children are naturally curious and can find almost any hiding place. If you are traveling, a vehicle or hotel room can be accessed by unwanted visitors also. A gun safe can ensure your firearms are safe and secure from others including children. A variety of people use a key lock gun safe to secure a firearm. What is a key lock gun safe? A key lock gun safe uses a key to lock and unlock the safe. These types of locks are simple and affordable. However, these types of safes have a vital security flaw which is key management. One of the most significant risks associated with key management is leaving the key near the safe. This habit allows the thief or child to find it making it convenient in unlocking the safe quickly. IF there was a place you could hide the key without risk of it being found, you could hide the firearms in that location. It is hard to hide gun safe keys because they could be recognized as keys to a safe. Another idea is to keep the keys with you at all times. However, this idea runs the risk of losing the keys, having the keys stolen, or the keys being copied. If you want to use a key lock safe, the best idea is to store the key at another location such as a family member’s house or your workplace. This idea makes unlocking the safe inconvenient. An alternative to solve the issue of key management is to utilize a biometric gun safe. Many people would suggest the use of an electronic or mechanical gun safe to eliminate key management problems, but these types of safes require you to remember a code. A biometric gun safe can eliminate these potential issues by using a unique physical characteristic. 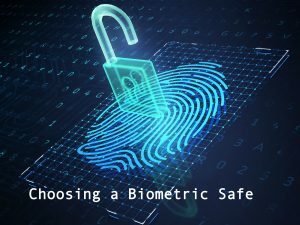 This unique characteristic is typically fingerprints, but some safes have the capability of using face recognition software or retina scanning. Using fingerprints to unlock a gun safe is practical and secure because it is almost impossible to copy them. You also can’t misplace your fingerprints. 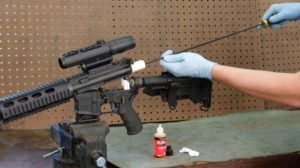 These types of gun safes can also store more than one set of fingerprints and then can recognize those fingerprints even with small abrasions. In addition, they also open without noise in case of an emergency. One drawback of this type of safe is people over 60 have difficulty using the technology. This difficulty probably comes from the fact that as you age, your fingerprints thin. 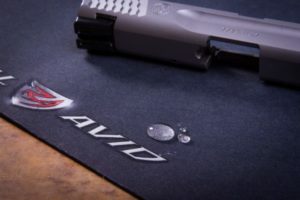 In this article, we will explore the top biometric handgun safes and their key features. 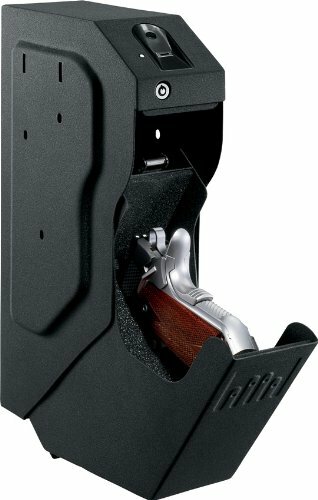 What are the best biometric bedside gun safes? After using the QAP1BE for the first time, you will want one for all of your pistols. This safe is a single-gun capacity safe that weighs 11.9 pounds. 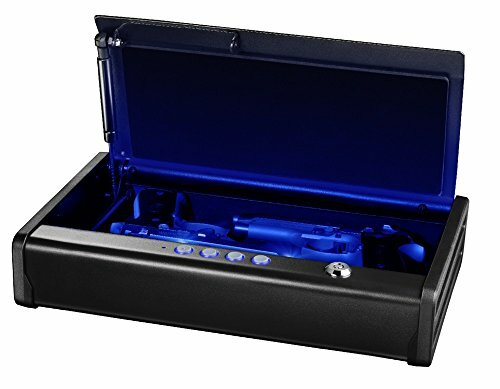 The size and weight of this biometric gun safe make it excellent for travel or the home. If you are storing your gun long-term, this Sentry Safe Pistol Safe comes equipped with a type of bolt down hardware. This hardware makes it difficult to remove the firearm from its place. With its soft lining inside and solid steel built on the outside, this safe can protect your valuables easily. The California Department of Justice has approved this gun safe for firearm protection and storage. This gun safe also has the capability of storing up to two different fingerprints. It comes with an optional override keypad and a key lock in case the biometric technology malfunctions. Sentry uses single-handed access biometric technology working in conjunction with a compression gas strut to permit this safe to automatically open and stay open when you use your finger to unlock it. This feature is convenient when an emergency arises that requires quick access. You can also remain under the radar when opening this safe due to its silent operation while opening. The pry resistant door on this Sentry Safe is tough because of its 12-gauge steel construction. The seamless design and this pry resistant door mean an intruder is going to have a hard time opening this secure box. This type of design also means that if the box is dropped, it will not pop open. This feature helps keeps small children from accidentally opening the box. If unwanted intruders want into this box, its design may discourage them in just a few minutes. The creators also ensured easy storage with the QAP1BE’s slim figure. This figure allows the box to be stored in tight spaces without issue. This safe has earned the title of the best biometric pistol safe due to its robust construction, durability, and affordability. It is one of the most cost-friendly units on this list. It requires two AA batteries which can cause inconsistencies associated with battery life. Comes in heavy packaging that can make it bulky and hard to open. If you are looking for a quick access pistol safe with a two pistol capacity, your search is over. 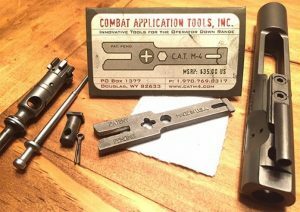 The QAP2EL is the safe you want. This safe’s interior has room for two standard handguns or one large handgun. It can handle the 10-inch barrel length of guns like the Desert Eagle Mark XIX and still have room for the ammo. With the compression gas strut on this gun safe, it will open quickly and quietly to allow you to be discreet when accessing the weapon in an emergency. The safe also has interior LED lights to make it easy to find the handle of the gun in the dark. This light can be programmed for 0, 10, or 20-second intervals. It’s solid steel construction and pry-resistant lid allows this case to easily protect your firearms from unauthorized access. In addition, you have the ability to bolt this safe down to prevent thieves from removing it. The QAP2EL also meets and exceeds the California Department of Justice’s requirements for the certification standards. Four AA batteries are required for this Sentry Safe. If these batteries die before you have a chance to change them, the safe comes with an override key for backup access to the firearm. It should be mentioned here that some folks have complained that the battery life of this safe was short. For some, the batteries had to be replaced after only a few months of use. Another convenient feature associated with this gun safe is its ‘sleep mode.’ You can use this mode to allow a one-touch to wake and be ready to open feature. However, you have to remember to do the one touch before trying to open the safe. If you forget this step, the opening sequence will begin at the wrong time and may restrict your access. Battery life could be an issue. When you need a lightweight option, the Vaultek VT10i is an excellent choice to store your firearm or other valuables. This safe is ideal for storing in obscure areas in the home or while you are traveling. The VT10i utilizes a smart safe technology that allows you to interact with the safe via a smartphone app. It allows you to toggle on/off and still maintains safe functions. The app gives you the capability to check the power level of the safe, see the history of when the safe has been accessed, and to detect any tampering with the VT10i. This app makes this one of the best biometric handgun safes on the market. If more than one adult needs access to this safe, Vaultek has the solution. The VT10i has the ability to retain up to 20 different fingerprints in its database. This feature makes this an ideal safe for a workplace or a large family vacation home. 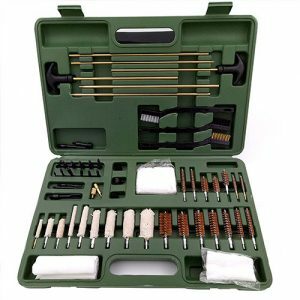 If you are a frequent traveler, the 18-gauge steel’s lightweight design is perfect for you. The backlit interior showcases the firearm and the pry-resistant design protects it from theft. If you hate throwing away dead batteries, this gun safe matches your personality. It is the only safe on this list that utilizes a rechargeable battery. You never have to feel bad about your environmental impact when using the included USB charger with the Vaultek VT10i. As stated above, the VT10i is excellent for traveling, but it is also perfect when you fly. It is the only TSA-approved safe on this list so that it may be worth the extra cost. With a 5.2-pound scale reading, this case can comfortably fit into your checked baggage or underneath your car seat when driving. It also comes with mounting hardware if you want it to be secured inside your home or office area. This safe also has interior security brackets to add another layer of protection against break-ins. This safe’s lightweight and durable design make this safe land at the top of the list. However, it lands in the middle of the pack in regards to price. Smartphone app. Although not something you would to use in an emergency it’s good for checking power levels and history. Your fingers must be clean and dry to open the safe. 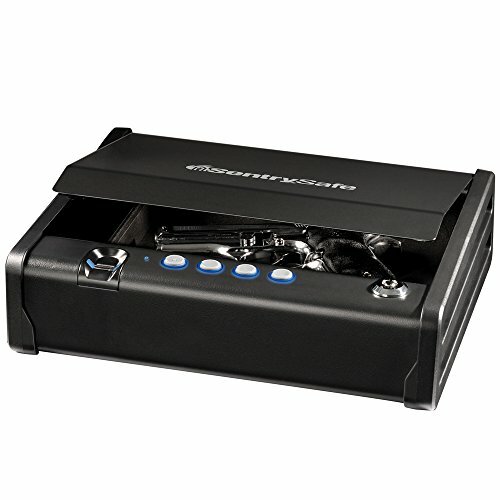 This biometric gun safe has a sleek design that makes it excellent for those who want the safe secured next to the bed. The entire design was created with ease of use in mind. One of the unique features of this gun safe is it holds the gun in a ready position. 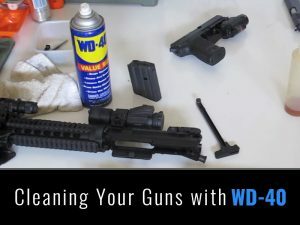 This feature allows you to quickly access the gun with a simple swipe of your finger. Gunvault uses 18-gauge steel but lags behind Sentry Safe’s 12-gauge construction. This safe also comes with two keys to allow for an override if the batteries are not replaced in time. It has the capability of programming up to 20 fingerprints. This ability will enable you to program your fingerprint from a variety of different angles. This multiple programming of fingerprints allows you to open the safe from any direction and angle as needed. 20 prints also enable you to program other family and friends who need access to the safe. With the provided mounting bracket, this safe is exceptionally versatile. It can be mounted on the wall on the left side, right side, top, or bottom to accommodate your needs. However, the best position for this gun safe is vertical because of its design. This fact means a broader array of mounting opportunities than the more standard horizontal design. 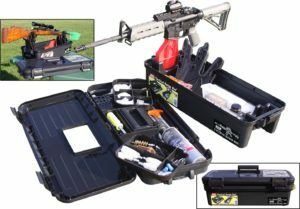 This gun case is also approved by the California Department of Justice for gun security. It weighs a mere 7 pounds making it easy to transport when traveling. The drop-down drawer feature of this safe allows you to easily and quickly access your firearm. Without the use of fingerprints or keys, it is virtually impossible to pry open this gun safe because of the precise fittings. One of the best things about this safe is it comes with Gunvault’s 20 years of biometrics experience. Gunvault has one of the lowest false reject rates on the market. It also has one of the highest acceptance rates on the market. In regards to price, Gunvault falls in the average range when compared to other biometric safes. Innovative designed that lends itself well to beside the bed or side of desk mounting. Two decades of biometric experience. The mounting plate are not high quality. You’d want to replace them with a better manufactured screw. You really can’t go wrong with any of these safes. If you’re more of a traditionalist the Gunvault and Sentry safes would be the better choices. Both have been in the safe business for many decades. Vaultek is relatively new player in this space that is making safes with more techy features. 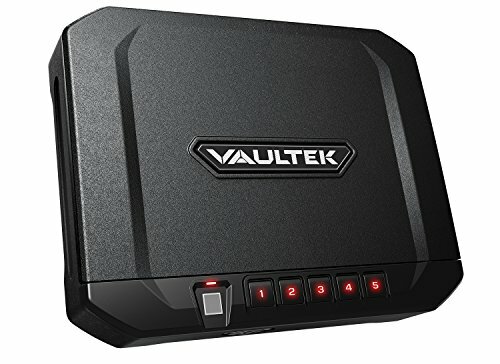 The Vaultek is for the person that wants all the cool gadgets. If you want an app for your safe this is the route to go.